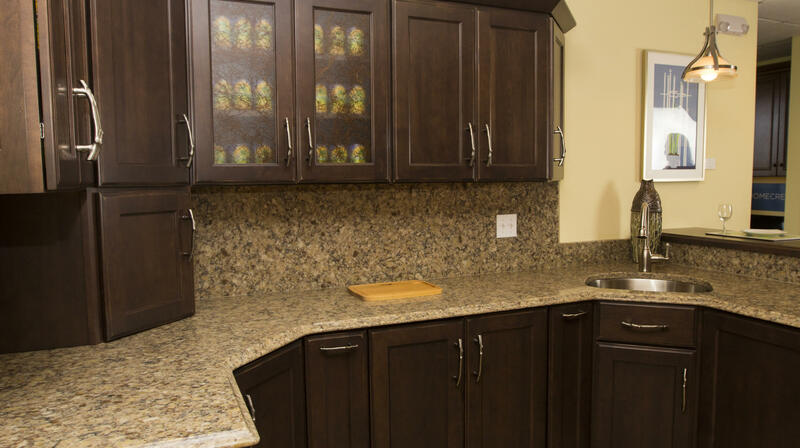 If cabinets are the foundation of your kitchen and bath design, then countertops are the dressing. They set the tone and the mood of the kitchen so you should choose materials that will represent your unique style. Friel Kitchen & Bath offers all the latest countertop designs that the industry is buzzing about as well as classic and trusted styles. 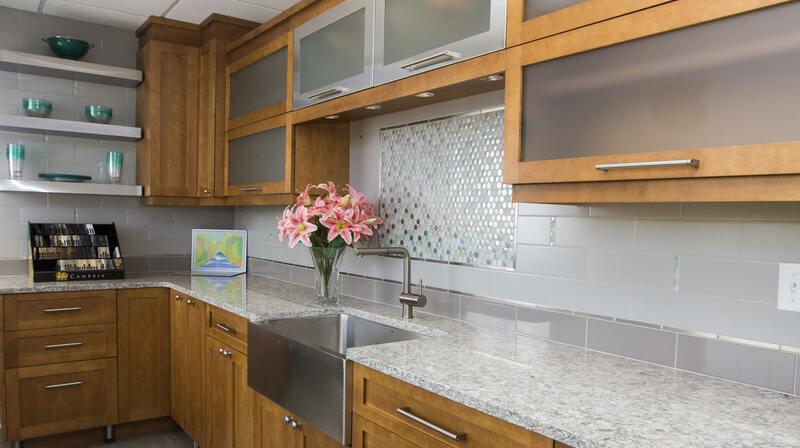 When choosing countertops is is important to not only consider the style of the materials but its durability, maintenance requirements, and cost. You will also need to decide whether or not to include a backsplash. When designing your space, our team will figure in all your desired elements according to your budget. Granite is available in several grades, regarding its patterns, colors, and thicknesses. You are also able to choose the finish of the granite. Engineered stone is a nonporous surface that is comprised of 93 percent quartz surfaces. It is resistant to scratches and cracks and is available in a very wide variety of colors. Laminate is very budget and time friendly and is perfect for a quick, inexpensive facelift. Soapstone has a smooth feel and a rich character. It is porous and will require regular maintenance with mineral oil. The color will also deepen over time. Ceramic tile will easily cover another surface. There is a wide variety styles and sizes available, making the design possibilities almost endless. Cast concrete is a durable material that can also be dyed a variety of colors or pressed with unique design elements. Often referred to as Corian, these surfaces offer a seamless look. Stains and scratches can be lightly sanded out. Stainless will create an industrial-strength surface that provides a sleek finish in modern kitchens. It cleans easily and is resistant to hot temperatures. 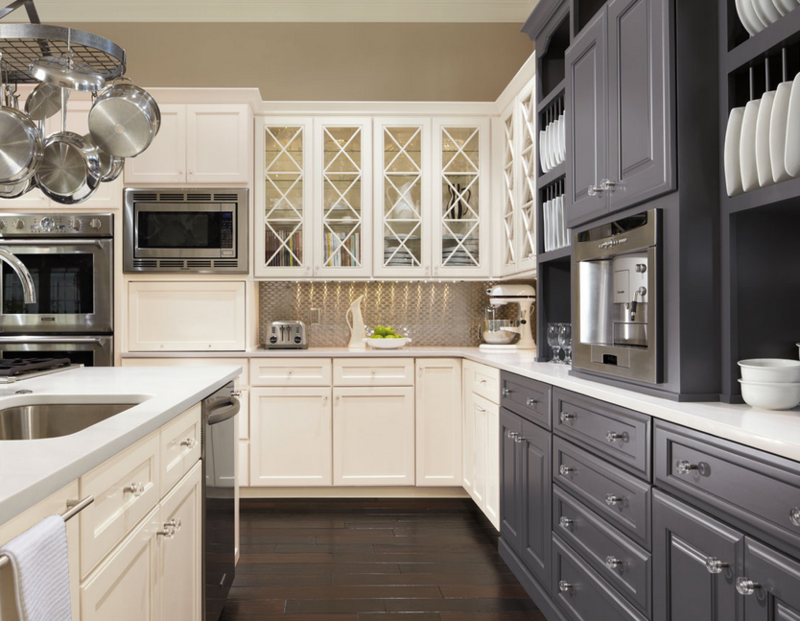 Since 1903, Friel Kitchen & Bath has been providing our customers with the very best products and superior services. 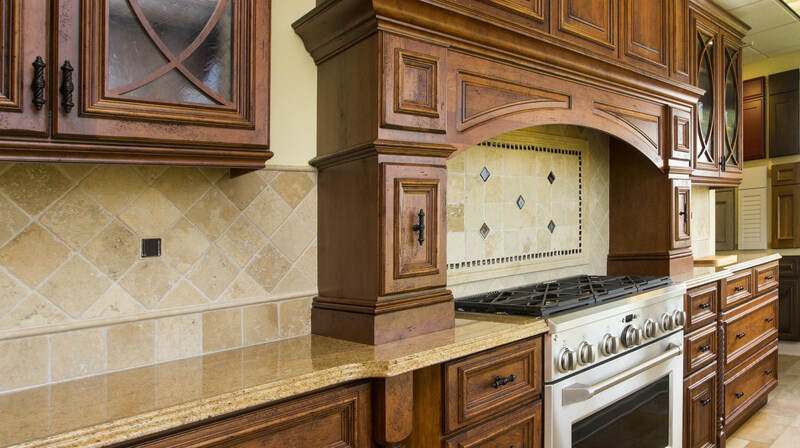 Our cabinetry department is staffed with highly skilled craftsman, all of them are knowledgeable in today’s trends and the latest technology while adhering to age-old tradition and beliefs. We vow to walk you through your project from the creation of the design to coordinating with your contractors to ensure your vision comes to life.